Each year, when new calendars are being unwrapped, we all tend to take the opportunity that a fresh start provides to create new goals for ourselves. However, no matter how hard we try to cut down on our carbs, we usually end up eating a dozen Krispy Kreme doughnuts in one sitting by mid-February. In early January, we pick a handful of resolutions that will help us to a healthier lifestyle or to progress in our careers or to become better at organizing, etc. And though we all have good intentions behind our goal setting, they never seem to stick. Isn’t it frustrating? Why is that? According to business owner and author Lara Casey, we generally end up ditching our goals because they are only surface level goals. Why would anyone resist drinking a delicious Diet Coke instead of their “New Year’s resolution” glass of water just because they have to? I don’t know about you, but my will-power isn’t strong enough to make me do something just because I have to do it. So, how do we make a resolution “stick”? Casey believes we all need a deeper reason for setting the goals we wish to achieve. 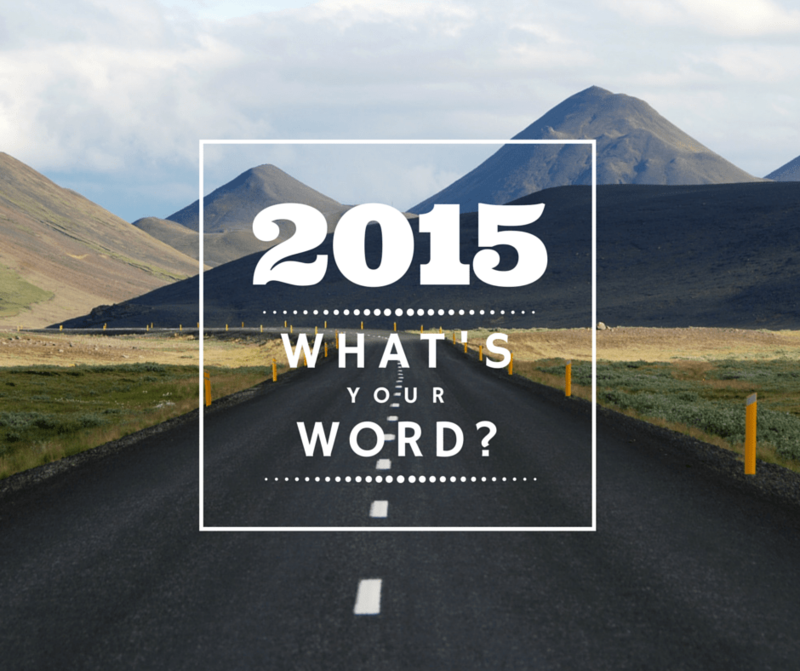 She suggests finding a single word that defines your vision for the year. While picking just one word for 365 days’ worth of goals sounds difficult, Casey provides several questions to help us get started. By answering the questions below, we are able to see a trend in our answers and pick a word that describes the general theme. What kind of life do you want to live this year? Where do you want to be when you’re 80? If you could envision your best year yet, what does that look like? Last year was the first time I had heard of this trick. While I was a little skeptical at first, I found that returning to my word of the year was incredibly helpful. I was no longer setting goals I felt like I ought to set, but I created resolutions for myself that truly meant something to me. Each time I felt like I was veering off-track, my word of the year would remind me of the bigger picture. This method works well for finding focused goals for associations, too. Try answering these questions based on your vision for your association, or pass them out to your association board! Taking a few moments out of your busy schedule to find a vision for the upcoming year will help keep your association on track for the months to come. If you’d like to read a little more about casting a vision for the new year, I’d suggest reading Lara Casey’s post on the topic. Also, she just started her 2015 Goal Setting series. If you’d like a little inspiration, or would like a deeper look into the goal setting process, then this series is a great place to start. Nicely stated Allison. We can all use a little more focus in our lives. Each of us strive for fulfillment in this life. It’s hard to know when you get there, if you don’t know where you’re going. Thanks for sharing.